The studio is located in the lovely Bee Tree valley, just east of Asheville NC. 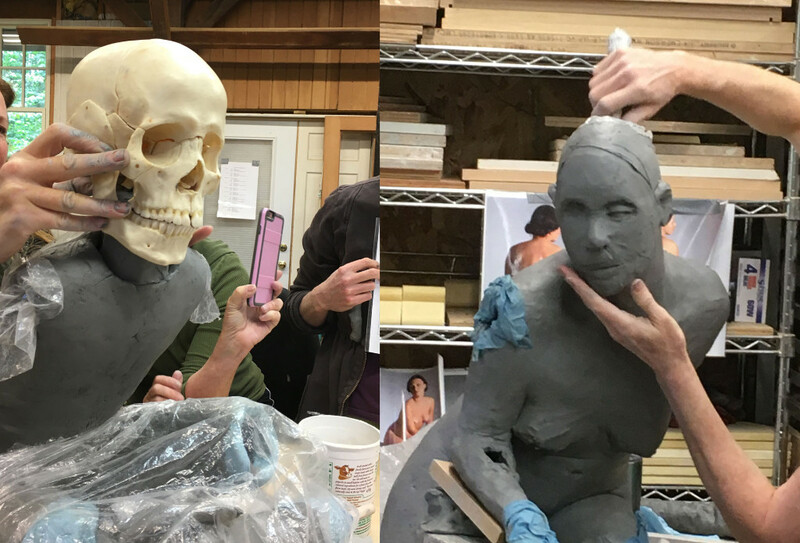 This long weekend workshop will cover hand building techniques for creating hollow form sculpted heads. We will begin on Thursday in the afternoon to get started right away working on projects, and then have dinner together here. Participants will have time to work on multiple head sculptures of different scales, with plenty of friendly guidance, anatomy lessons and demonstrations. We will address cranial bones, proportions of the head, basic musculature, facial features and integration of the head and neck. It will be an action packed weekend of adventure in art making! Each participant will have their own rolling table and shelf, and many basic tools will be provided. Classes will be limited to 6 students. The small class size is really sweet, leaving so much room for us to get to know each other and for me to work directly with each participant throughout the workshop. 6 months ago by susannahzucker I made a new little friend last night! She was in our guest apartment and when I went in she flew and flew all around me in circles! She finally landed on a bathroom towel and then let me fold the towel around her and carry her outside. Precious little mystery creature. 6 months ago by susannahzucker Hope your Halloween is super spooky!